This Paso Robles Cab. is a deep dark black cherry with big fudgey, black cherry cola aromas loaded with plums and cigar box, accompanied by currant and gentle anise. 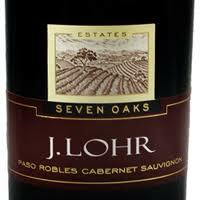 Palate--Silky tannins with loads of dark black berry, wild spice, good fruit on a young frame. Big all around flavors and a long finish. This is a really nice Cab especially at $15 and should be awesome in a couple more years but drinking really well now. So raise a glass!